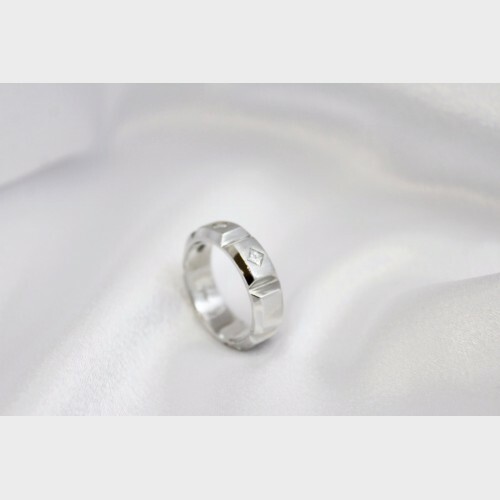 Men's platinum ring with 3 small diamonds. 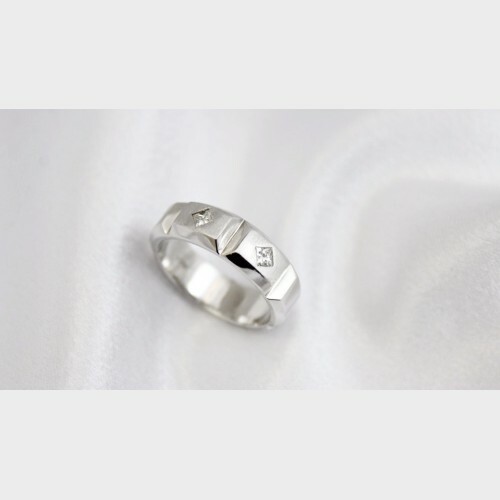 Diamonds are approx .16 ctw and weighs a total of 10 grams. This pre-owned band is a size 9 3/4 and resizing is possible, which can be done by us (Please contact us if interested).